Walking home that cool, rainy evening, this young lad's life was sealed once the predator George Zimmerman zeroed-in on him. The whole In-Justice system surrounding him based on a backward racist culture, made sure his human rights would be violated and that racism would win. From the very beginning he was treated as the assailant even if he was dead and unarmed and a child and had been merely walking home doing absolutely nothing wrong. On the other hand Zimmerman, the killer, from the start was treated as the victim and normal procedures of checking his blood for drugs weren't done and he was not charged with anything and let free to go, as if nothing had happened. 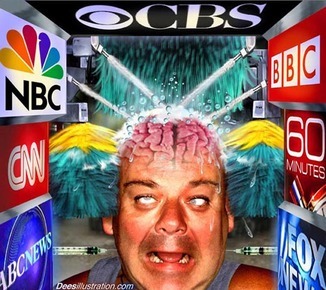 The news outraged millions around the world but it took still 6 weeks for The Establishment to realize this issue wasn't going to go away, so they moved to plan "B" to go through the sham of a trial to do in the end what they wanted to do all along, to protect "their" killer. 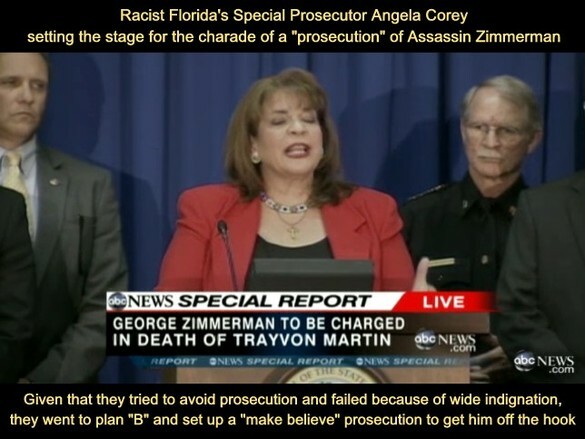 Angela Corey is the very same who prosecuted and got 20 years in jail for black lady Marissa Alexander who merely shot into the ceiling to defend herself from an abusive husband, Alexander tried to use the very same "Stand your Ground" law as Zimmerman, but was rebuffed. Zimmerman murders a black child and goes free, Alexander shot to the wall and gets 20 years. There is a film called SLEEPERS with Dustin Hoffman and Brad Pitt where a prosecutor takes the case because he wants to SAVE the defendants. So like Angela Corey, Brad Pitt acts as if he's prosecuting the accused but all along with the plan to use his actions to the benefit of those supposedly he was trying to imprison. Angela Corey chose the 5 white women and one Latino as a jury, avoiding any black men or women in it, making sure Trayvon Martin had not a trial judged "by his peers" as the constitution calls for. The recent interview with one of the jurors identified as Juror B 37 is very telling. It shows evidence she couldn't even understand the accents and words of some of the black witnesses from the prosecution. 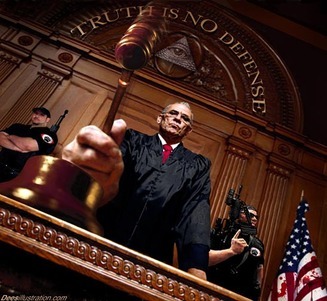 A defense or DA lawyer's job is to prepare the witnesses before trial and it is clear some key witnesses had been set up to fail under examination, as is the case of the young black lady friend who was the last one to talk over the phone with Trayvon Martin moments before he was assassinated. While I was watching the defense lawyer's hammering at her with questions, it was clear she had not been coached properly. Once again, the triumph of racism, injustice and backwardness is more evidence a country whose "black" president is himself a law breaker, can't behave in any other way, unless big paradigm changes take place. 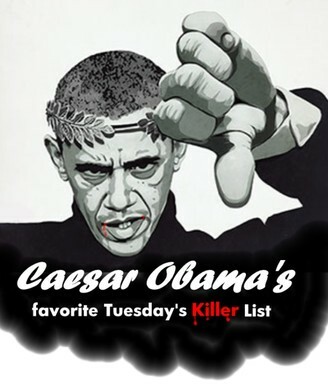 A president actively choosing and filling out an illegal killing list every Tuesday ranging the whole world, and is fighting to establish a Dictator's Law with the NDAA, in a country of 310 million souls where the majority are asleep instead of rioting because of the sacking of their constitution. 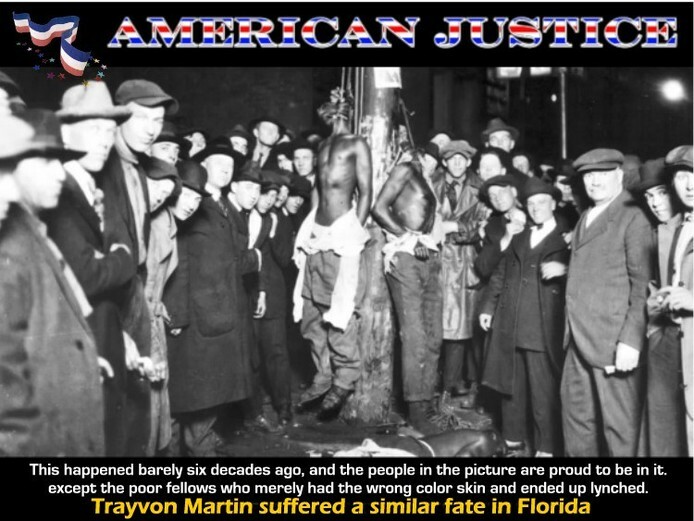 ​​ In this context it is no wonder Trayvon Martin had not a chance, since the majority of blacks who suffer this racism also, at the same time, support a "black" president who is breaking the law himself and leaving behind the NDAA that can be used by any Republican or Democrat president to abuse in the future. 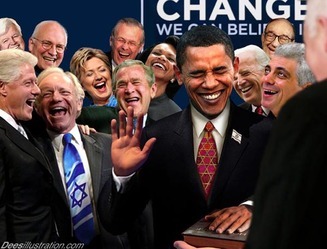 ​The people may protest but unless the established socio-economic system based on fake debts is properly understood from its foundation as to how it garners the people's wealth harvested from their daily work using the creation of currency as debt-based money by private banks, with all the ramifications this implies, nothing will truly change. 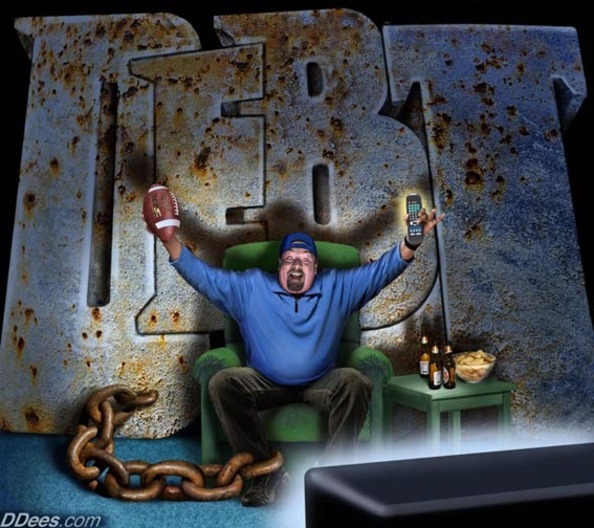 Debt is what keeps all governments, businesses and individuals on the hook to this bankster's power block, and racism is but one of the tools used to keep us all at odds with each other. 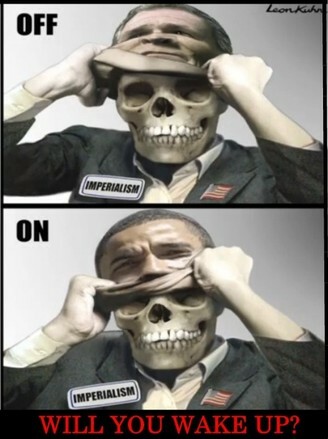 Racism, nationalism and class identity are used to divide people while the de facto rulers of the planet use the system of debt as the weapon to pick-pocket the people's wealth. 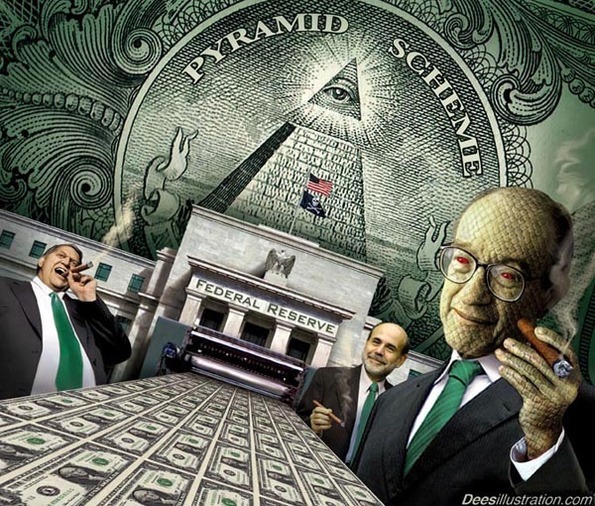 This system is called Fractional Reserve Banking and it's explained in 11 minutes HERE, showing how hidden in plain sight the fraudulent mechanism to harvest the billions of people's wealth is applied, using the process to create the currency as the means. 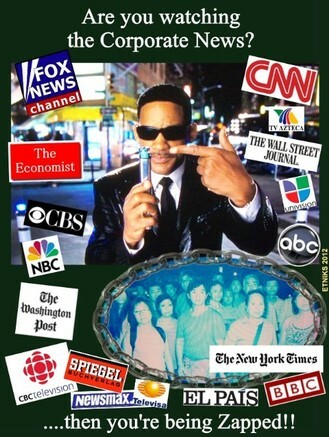 The masses are kept in the dark by never being exposed at school, church or the Media about this paramount issue of money. Once a sizable minority becomes conscious of this theft and how wide ranging it affects ​people's lives, then we will put a stop to the hemorrhage of cash that has created the worst international debt crisis in a century, contributing to the sick behavior displayed by Zimmerman. "Those who can give up essential liberty to obtain a little temporary safety, deserve neither liberty, nor safety"
than those who falsely believe they are Free"